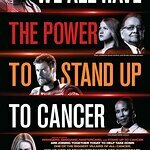 Stand Up To Cancer (SU2C) has announced more than $111 million has been pledged collectively so far in connection with the star-studded Sept. 9 “roadblock” fundraising telecast in the United States and Canada. The funds pledged toward the SU2C scientific model will be directed to collaborative research utilizing SU2C’s scientific oversight in both the United States and Canada. In the U.S., SU2C is still gratefully accepting donations at www.su2c.org and at 1-888-90-STAND (78263). The telecast is available at www.su2cshow.org. Musical performances during the show included Keith Urban with Little Big Town and Dierks Bentley covering David Bowie’s “Heroes” from the Academy of Country Music Honors, and songs performed by Alessia Cara, Charlie Puth and Gallant. Canadian superstar Celine Dion closed the show with a moving rendition of “Recovering,” a song given to her by Pink about rebounding from loss, which she dedicated to her husband, father and brother, all of whom died of cancer. •	Mitch Carbon, 18, of Spokane, Washington, was diagnosed with an aggressive form of leukemia five years ago. He was treated but relapsed twice and had few treatment options. By watching the 2014 SU2C telecast, his parents learned of a new treatment pioneered at Children’s Hospital of Philadelphia (CHOP) with the support of the SU2C-St. Baldrick’s Foundation Pediatric Cancer Dream Team. They took him to Philadelphia for the new treatment, which uses the body’s immune system to fight cancer, and he is now one year cancer-free. •	Woods Brown, 75, of Evart, Michigan, was diagnosed with metastatic prostate cancer and received surgery and radiation, but the cancer continued to spread. He enrolled in a clinical trial at the University of Michigan Comprehensive Cancer Center that was investigating a new treatment supported by the SU2C- Prostate Cancer Foundation Prostate Cancer Dream Team on precision medicine. Brown is now considered cancer-free. •	Trina Taylor Isaac, 43, of Baltimore, was treated for colorectal cancer with surgery, chemotherapy, and radiation, but her cancer returned. She joined a clinical trial supported by the Van Andel Research Institute (VARI) – SU2C Cancer Epigenetics Dream Team that is investigating drugs that can reverse the cancer’s resistance to chemotherapy. She has seen nearly all of her tumors disappear. Every day, cancer kills 1,800 people in the United States and Canada—more than one person every minute. SU2C was founded on the belief that the fight against cancer is at a tipping point—a pivotal juncture where transformative progress in cancer research is finally possible because of two trends: breakthroughs made in the understanding of the basic science of cancer, and technological advances that enable these breakthroughs to be translated into new treatments. Today’s cancer researchers need additional funding to fulfill the promise of life-saving discoveries, and Stand Up To Cancer engages the public to support their work. SU2C is a major force in the development of innovative and more effective cancer treatments such as immunotherapy, which harnesses the power of the body’s own immune system to fight cancer. SU2C is supporting advancements in immunotherapy treatments for leukemia, melanoma, and cancers of the pancreas, head and neck, lung, and ovary. SU2C also supports development of precision therapies tailored to the patient’s specific genetic and molecular makeup in prostate and colorectal cancers and melanoma, among others; new technology to accelerate research; early detection of colorectal cancer; prevention of ovarian cancer; and groundbreaking work on cancer stem cells and the epigenetics (processes that control so-called “packaging” of DNA) of cancer, among other new fields.